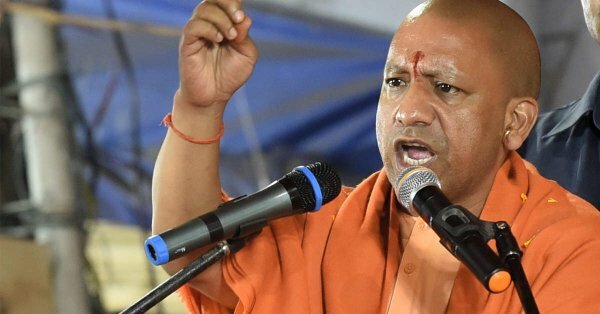 Bishara (Uttar Pradesh) [India], Mar 31: Uttar Pradesh Chief Minister Yogi Adityanath on Sunday in a veiled dig at erstwhile Akhilesh Yadav led Samajwadi Party government for “suppressing sentiments” of Hindus and letting “illegal slaughterhouses” operate freely in the state. “This is western Uttar Pradesh. Earlier, when people used to go somewhere with bullock cart, their cattle used to end up in illegal slaughterhouses. Who doesn't know what happened in Visara? How SP government suppressed sentiments (of Hindus) here?” the UP Chief Minister said while claiming that his government shut all illegal slaughterhouses after coming to power. The Chief Minister was campaigning for Union Minister Mahesh Sharma here. “Congress government had said that Ram and Krishna don't exist. I would like to ask Congress leaders what do they want to see by going from one temple to the other? Why this hypocrisy?” the Chief Minister questioned. “They (Congress) are playing with the emotions of this country through policies of appeasement,” Yogi said. Earlier in the day, while addressing a rally in Ghaziabad, he accused the Congress party of “feeding Biryani” to the terrorists.